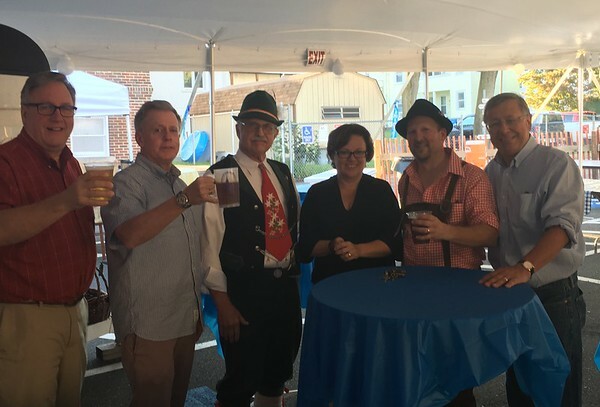 BRISTOL - The air was filled with the smell of bratwurst and the sounds of German music in downtown Bristol, as the Immanuel Lutheran Church kicked off its 4th annual German Festival Friday evening. The soft opening on a Friday evening was for the first time since the event’s inception. The large crowds the festival drew in its first three years was “one of the reasons we wanted to expand to a second day,” said Jason Krueger, chairman of the festival. “We always do all this work for only one day,” he continued, adding that he didn’t know what to expect for crowds on a Friday night. 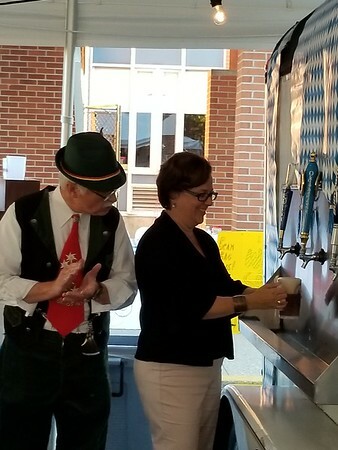 The festival kicked off with a German tradition in which the burgermeister - or mayor in English - taps the keg for the first beer to be served. “We just wanted to call in the big guns to make sure the beer gets properly poured,” Krueger said. 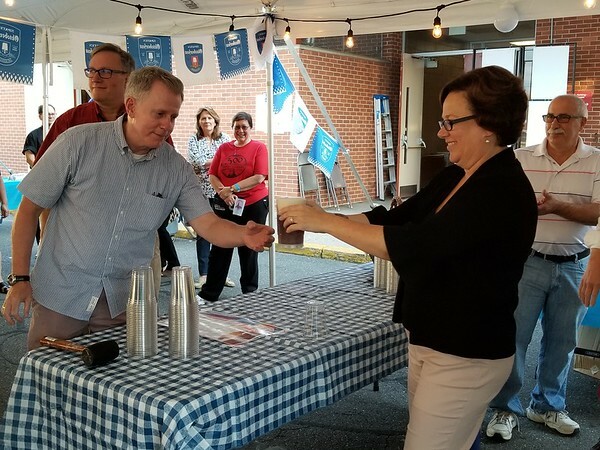 Mayor Ellen Zoppo-Sassu poured the first brew and passed the mug, which was overflowing with a frothy foam crown, to Councilman Peter Kelley. Zoppo read a few brief words before the festivities began, telling the early crowd to “eat and drink and have a great time” in German. Last year, the festival drew about 1,000 people in one day. Festival coordinators decided a second day with a limited food menu was warranted, given the event’s growth and popularity. “This place will be filled (Saturday),” said Lisa Burgyn, who usually works at the festival. She would be hard at work on Saturday, so she decided to stop by on Friday evening to kick back and take in all that the event has to offer. Only minutes past 6 p.m., when the festivities officially began, crowds began to line up for a German beer and a brat. 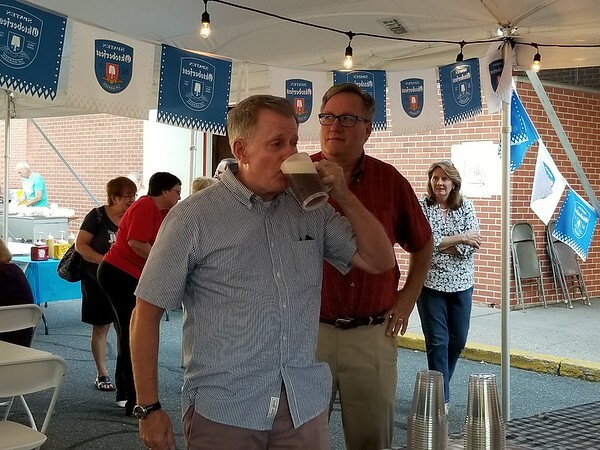 Bill Wentland, a former officer of the church who currently serves as the chair of the Immanuel Lutheran Foundation, said he only drinks beer once a year, and he saves it for the Bristol festival. “It’s been a great experience,” he said of the last three years. The festival will continue on Saturday, from noon to 10 p.m., with a number of live performances, contests and giveaways.